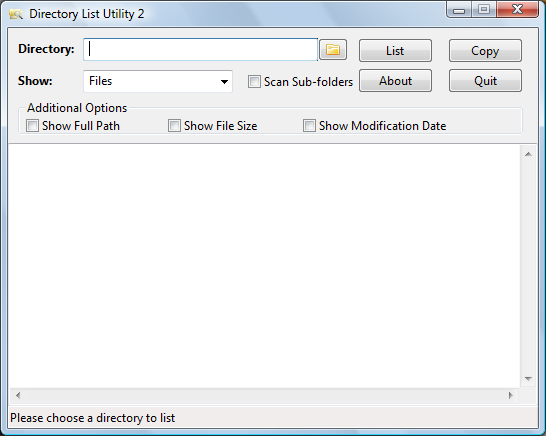 Dir List 2 is a useful utility to list all of the files and/or folders in a chosen directory and, if you want, all sub-directories. Please try the program and, if you like it, purchase a license using the button below. Thank you. License: $5 each (Australian Dollars) or use the contact form to request a quote for a site license.